Hangar 24 Craft Brewery isn’t the only Redlands brewery celebrating the holidays with barrel-aged brews. Roll on into the season with “12 Days of Puga,” a celebration of all things Pugachev’s Cobra to get you geared up for Christmas. Join us starting Tuesday (12/12) at the Redlands Taproom. Have a taste, grab a gift, get something for the cellar. Our “12 Days of Puga” schedule has a little bit of everything. • 12/12: 2016 Puga Brandy on draft 12/13: 2016 Puga bottles on sale 12/14: Caramel/Cocoa Puga on Randall 12/15: Gingerbread Puga on draft 12/16: 2014 Puga bottles on sale 12/17: 2013 Puga bottles on sale 12/18: 2017 Puga T-shirts on sale ($5) 12/19: Candy Cane Puga on draft 12/20: 2012 Puga bottles on sale 12/21: Puga steal the glass and Mexican Chocolate Puga on Randall 12/22: Pug-Nog 2.0 on draft 12/23: 2015 Puga Royale bottles on sale* • *One per person. Bottles sold in limited quantities at 11 a.m., 2 p.m. and 5 p.m.
On the first day of Puga, my true love gave to me…a Pugachev’s Cobra Brandy on draft. Redlands’ Hangar 24 Craft Brewery has begun celebrating the “12 Days of Puga,” with Puga referring to the brewery’s signature Barrel Roll beer, Pugachev’s Cobra, a barrel-aged Russian imperial stout. Does macaroni and cheese pair well with beer? Attendees of the Mac and Cheese Beerfest will be able to answer that question on Saturday (December 16) in Riverside. 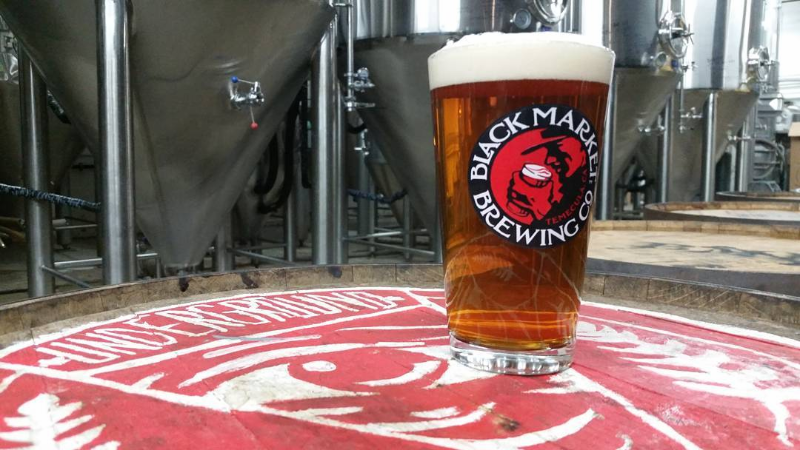 Tickets are still available for this month’s Backroom Beer Pairing at Barons Market. The event, which features beers from Temecula’s Black Market Brewing Co., is set for 6 to 8 p.m. Wednesday (December 13).